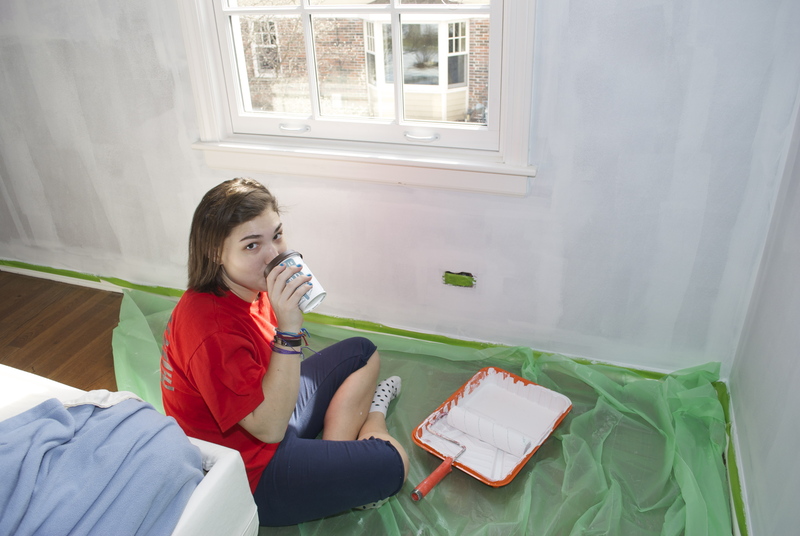 So picking paint color is always hard for us. My sister, mom, and I love color, but my grandma is color-phobic so we have to be cautious in the paint color department. 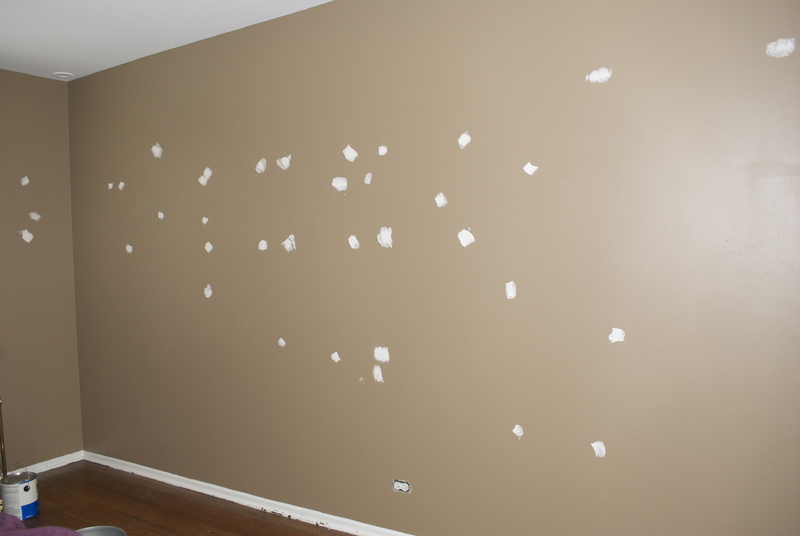 We always like to get samples because you never know what you are going to get until you put it up on the wall. We picked three colors to sample, but they couldn’t find one of the colors we wanted in the system so we picked one relatively close. 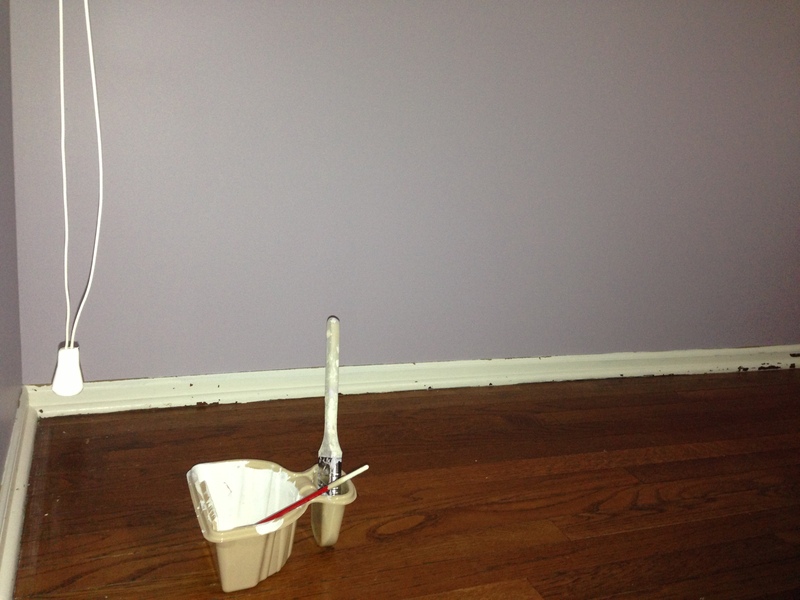 We made sure to prime under the samples so they would appear as they would after we primed the entire room. 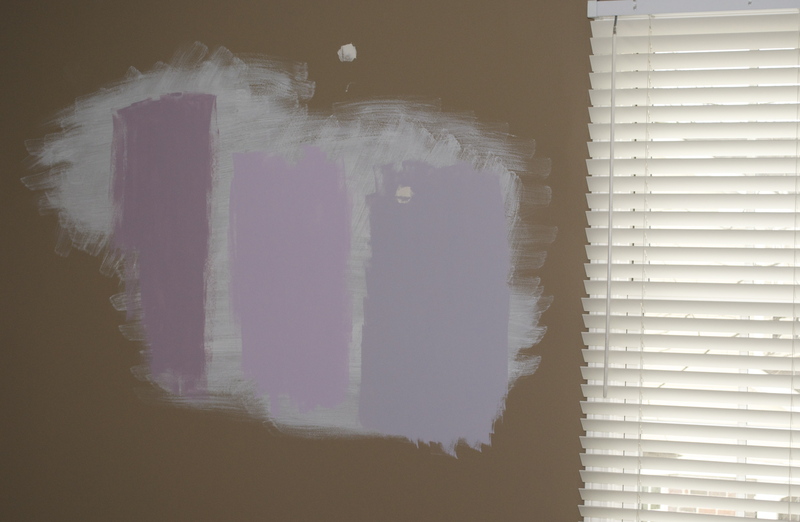 The middle one was entirely too pink once we got it up on the wall and the left sample was too dark and too mauve-like for our liking. The Sample on the right seemed to be what we were going for. It was color without screaming in your face with subtle grey undertones. 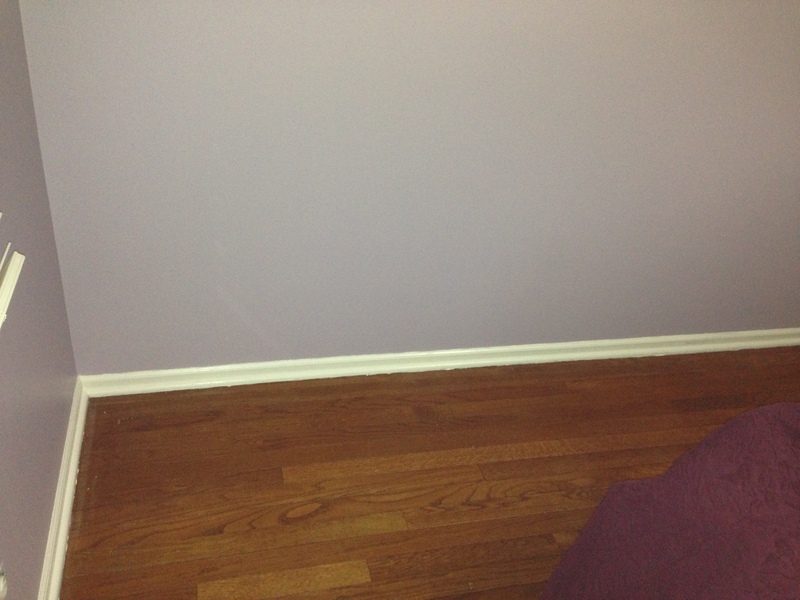 Then I just sanded flat and wiped the dust off the walls. 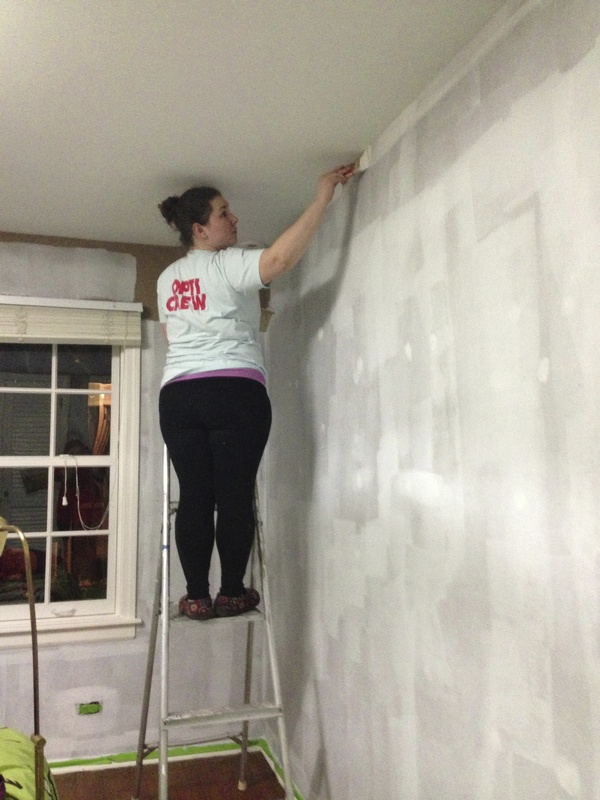 We also prepped by scrubbing the walls down with a magic eraser so they were clean for painting. We used Frog Tape to tape off the base boards. To apply it, you have to smooth it with your fingers (heat activates the adhesive) and with a card of some sort. We had to prime to room. We use Kilz just so we know the primer is doing its job. We also chose to do 2 coats of primer to give us a really clean start. I rolled while my sister cut. We also often were motivated by coffee or tea! 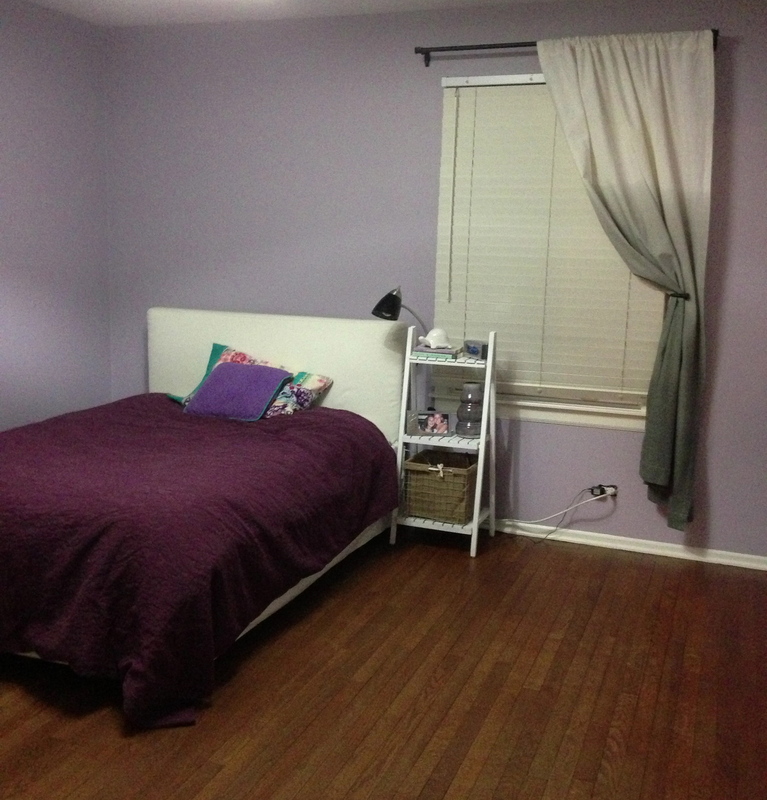 Choosing to paint to base boards made the room look so much more finished! I am so glad we did it! In the future, we hope to also paint my doors (I have 5 on one wall) or get them painted by a professional (since 4 are slat doors and those can be a pain for paint drips). 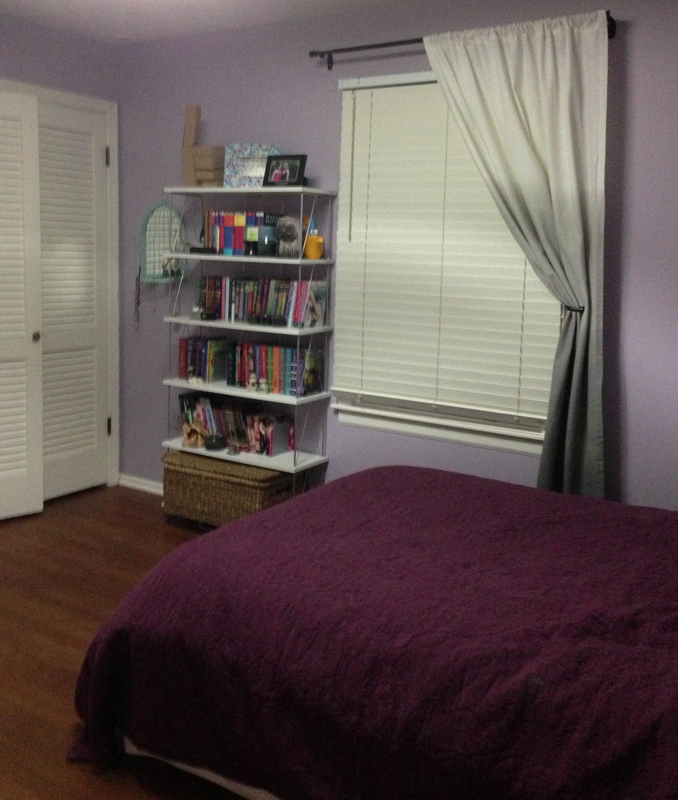 Here is a picture of the room with the furniture moved back and the new curtains we got at target that work perfectly in the room! We choose to only put one panel on each window and swoop them to the side to pull them back. We just feel that it works better for my room than 2 panels on each window.